Halal World is your oyster! HalalGuide is an online guide to the world of "Halal" for every day. Our international team is working on the project every day, making the life of Muslims easier and more interesting. We create useful and unique resources, we try to make the Internet and modern technologies work for the benefit of Islam. You can use them on the site halalguide.me or in the mobile application halalguide.me/app. 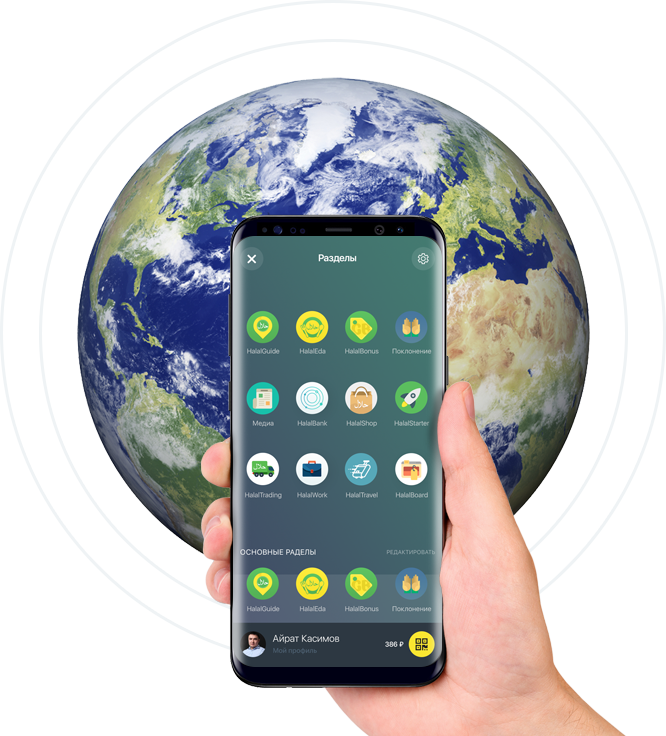 More than 1,500,000 Muslims around the world use HalalGuide to find Halal cafe and nearby mosques, find out the time of prayer and much more. Muslims used GreenBonus Cashback 30,000 times and ordered food for over 100,000 GBP through HalalDelivery, almost 10,000 GBP collected on crowdfunding platform HalalStarter. We already cover 120 countries and still growing! We are ready to support these projects designed to ease the life of Muslims not just in our country, but worldwide. They have multiple projects that proven themselves and have a huge potential to become a global ecosystem all over the world. We believe that Muslims can and should be the best in everything. We also believe that being a Muslim and living by sticking only to "Halal" is something that everyone, regardless of gender, age, wealth and place of stay can do. These two ideas perfectly form our goal - to become the best Halal guidebook for Muslims around the world. We want to help all brothers and sisters who are looking for mosques or Halal places in unfamiliar cities who want to travel on the principles of Sharia, who need to ask an important religious question or raise money for building, for example, mosques. This is now available and there are a lot of other solutions coming to live soon inshaAllah!